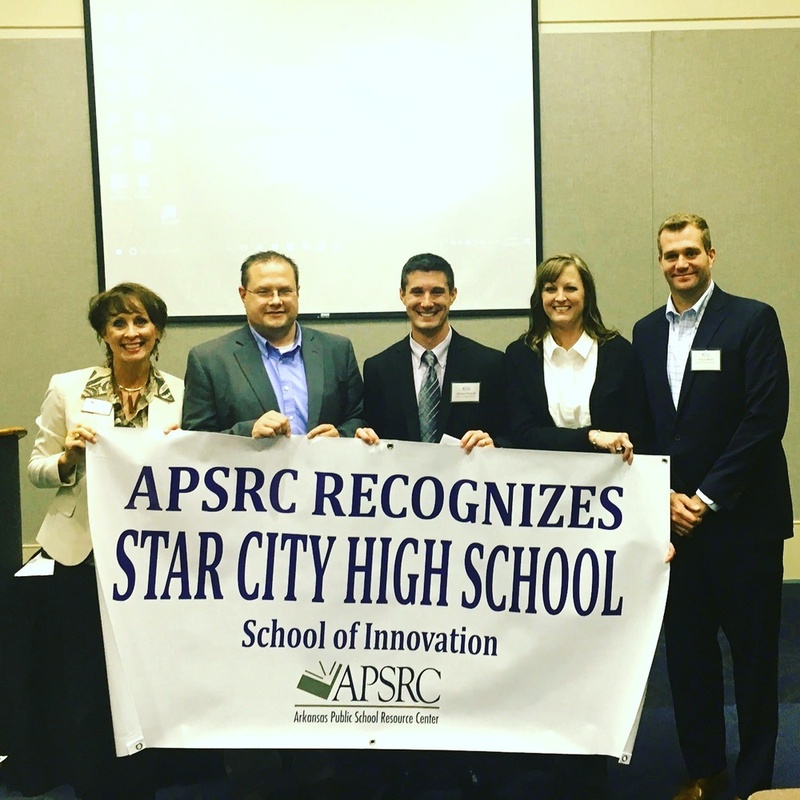 HOT SPRINGS – In becoming a 2017-18 Arkansas School of Innovation, Star City High School pledged to create a culture in which the focus is on creating and nurturing community partnerships in an effort to better ensure that students are college- or career-ready upon graduation. In their application, school officials wrote: “The proposed plan of the School of Innovation Council of Star City High School creates a bridge and partnership with our community, local businesses, and the local community colleges to transform our approach to transition and career readiness. “We want to become an environment that will not only provide the current reality of living in the 21st century, but a learning environment that exceeds that reality in preparation of students. Many of the local employers including, Arkansas Department of Corrections, GCA, and Georgia Pacific, have stated the need for interpersonal skills in their workforce,” stated Student Services Director, Nathan White. “This designation will create opportunities for our students that will allow them to lead a productive life, be a valuable employee, and become leaders in our community. It will provide valuable and needed training and a NCRC certificate, and local employers will benefit from young adults who have been well trained and prepared for the working environment. This status will advance our college-bound and career ready students. It will prepare them for upper level education and the workforce beyond that of Star City High School,” stated Superintendent, Jon Laffoon. Innovation status will allow for a learning shift: from teacher lead and centered to student lead and centered. We hope to attract more students to become a stakeholder in this learning opportunity. Last week, Star City High School received a $35,000 grant from the Arkansas Public School Resource Center to help it realize its goals. School officials received their check at APSRC’s annual fall conference, which is attended by educators from across the state. They also participated in a panel discussion with other Schools of Innovation that received grant funding from APSRC. need in their education, and that is choice over time, pace, and place.” Dr. Lisa Todd, the Director of Education for APSRC commended this year’s schools for seeking creative and innovative methods to better accommodate the needs of their student populations.